A.K.A Originals was formed in 2010 by Amber, Kim & Ashley,a mom and her daughters. Their passion is creating high quality, unique, personalized pieces of beautiful hand stamped jewelry. Every single item on their website is handmade and is made with 0.925 sterling silver and copper metal. They have some GREAT items that are suitable for everyone! These items include necklaces, bracelets, key chains, guitar picks, bookmarks, money clips and more. Many of my readers might not know that my husbands best friend Craig passed away suddenly and unexpected last year. They had played in the same band and it took a huge toll on my husband. This Christmas I really wanted to give my husband something that would remind him of his best friend and honor him. 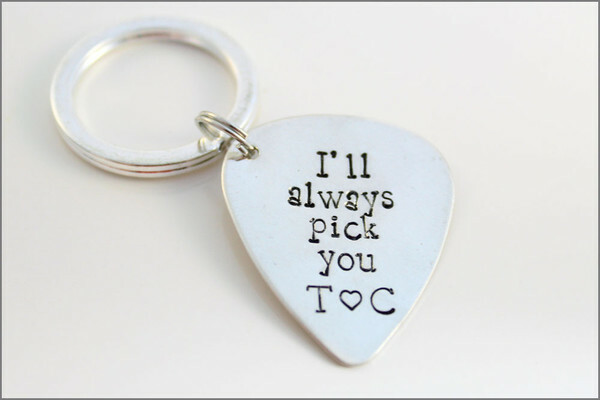 A.K.A Origonals was kind enough to customize one of their Guitar Pick Key chains for my husband. 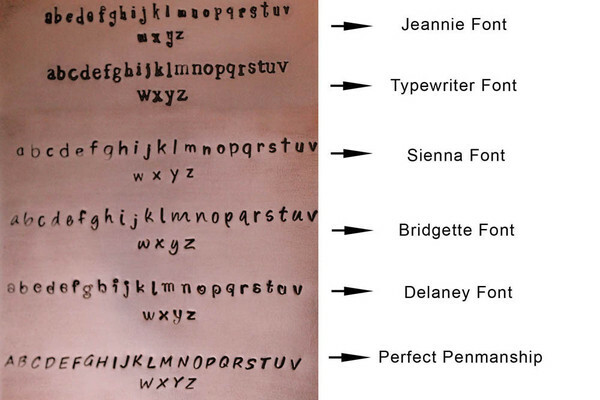 A.K.A Originals has a huge range of fonts and hand stamped images to choose from. 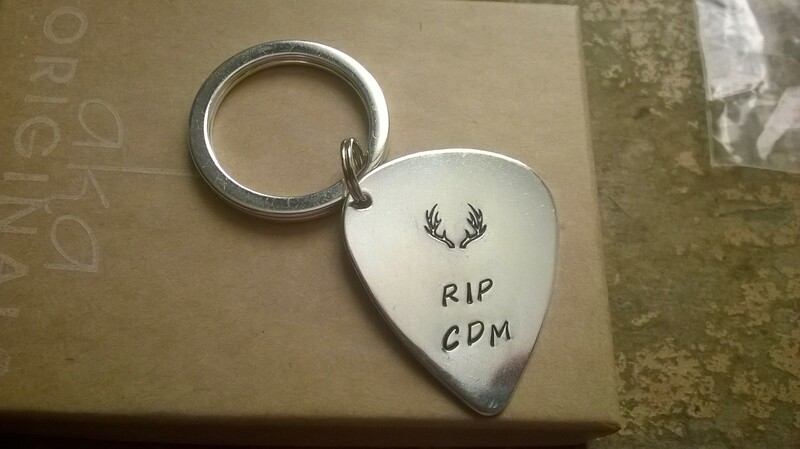 The current turn around time is 1 week for this item and you can purchase the guitar pick key chain for $35.00. The item arrived today and I can not express how beautiful it is. My husband is absolutely going to love it. A.K.A Originals could not of done a better job. I actually cried when I opened the box and I cant wait to see my husbands reaction. A.K.A has some really beautiful hand stamped jewelry as well as hand etched jewelry that allows you to receive jewelry etched with items like a baby’s footprint, handwriting of a loved one and more. Their items make FANTASTIC gifts that anyone would love!